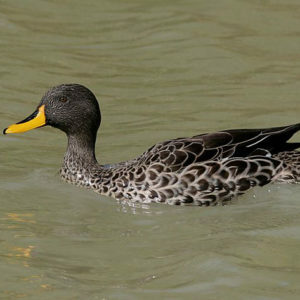 Medium-sized grey-brown duck with bright yellow bill. 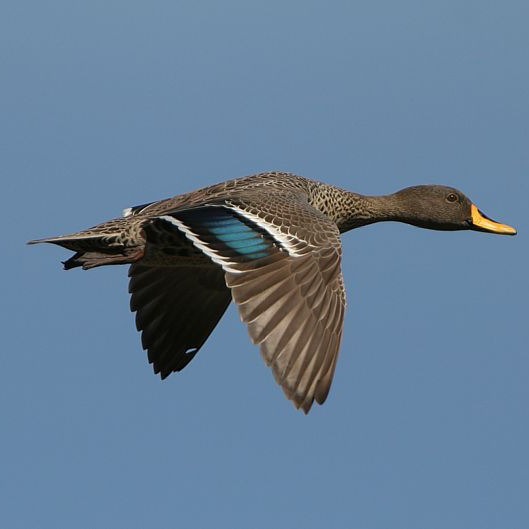 In flight a bold white speculum seen. Feeds mainly in early morning and late afternoon. 51 to 58 cm Resident mainly plant matter.